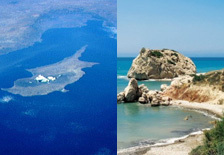 Cyprus incema travel agency incentive programmes organize your events, conferences, incentives and tours in Cyprus. "We want our clients and associates to be 100% satisfied with all we have to offer.” With that in mind, we are ideally positioned to organize your events, conferences, incentives and tours in Cyprus. Our incentive programmes are designed to motivate your team to go the extra mile. Any group, large or small, will enjoy and benefit from the attention and commitment we are known to provide. Your special requests, no matter how unusual, will be fulfilled. INCEMA TRAVEL will deliver the best service you can find on the island. That is a promise; and we never break our promises. Upon request we would be happy to send you further information, or to call you back to answer any questions.